The best Star Wars RPG gets better. I hate to kick off every article with a discussion about how incredible PC gaming is, but it’s just so damn easy. Today, more than a decade after its original launch, Knights of the Old Republic II is receiving a massive PC update—plus native Mac and Linux support. So what’s been changed in the best Star Wars RPG of all time? Look for a few quality of life changes in the new release: Native widescreen (up to 5K resolution), Steam Cloud saves, controller support, and achievements. You could already mod the game to fix some of these, but now you won’t have to. And speaking of mods, the game is also getting Steam Workshop support—and with it, day one support for the Restored Content Mod. In case you don’t know: Knights of the Old Republic II is an amazing game that was basically shoved out the gate by Obsidian/LucasArts before it was finished. But on PC you can play the game how it was (mostly) intended thanks to a fan patch—the aforementioned Restored Content Mod—that adds a bunch of cut content back into the game and fleshes out the story. It’s the right way to play Knights of the Old Republic II, and now thanks to Steam Workshop support it’s as easy to install as going and clicking a button. Hopefully the same treatment is in the pipeline for the original Knights of the Old Republic—though honestly I don’t even know who greenlit this update. We basically just got Knights of the Old Republic II HD for free. Did I mention how great it is to game on the PC? Update: Judging from the official announcement, it looks like it was Disney and Aspyr who worked on this update. 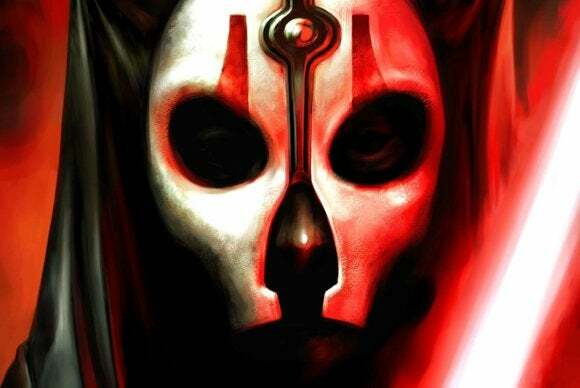 Hopefully that means there is indeed something in the works for the original Knights of the Old Republic too.